Will Google Help The Search For Stress-free Motoring? Will road rage become a thing of the past? Cars and technology have always gone together like motorists and road rage. But, could the latest advances signal the end of stress-fuelled journeys and white knuckles on steering wheels? 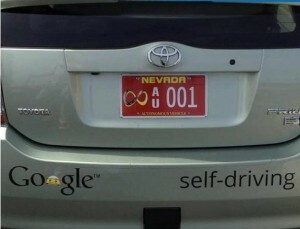 Self-driving cars have, until recently, been the stuff of science fiction. 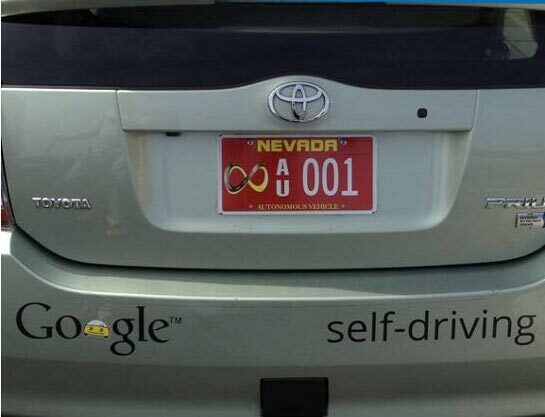 Yet, search engine giant Google has brought this vision one step closer, with a fleet of modified, self-driving Toyotas and Lexuses in Nevada which, impressively, has racked up 300, 000 miles of accident-free driving on its busy streets. For UK drivers, this could mean an end to other drivers cutting them up at junctions, pulling out indiscriminately and indicating on a whim. Just like in the sepia-tinted films of yore, motoring could actually become an enjoyable pursuit once more. It seems hard to imagine, but the computer-driven cars of the very near future will take care of just about everything, meaning no sudden braking, erratic weaving between traffic or tailgating. Accidents will become a distant memory as traffic moves along UK streets and motorways like a harmonious chain of efficiency, with drivers arriving at their destination feeling strangely relaxed and refreshed. If this all seems a little utopian, it’s worth remembering that cars such as the Ford Focus already self-steer on motorways and require very little help to park themselves perfectly. Volvo has also been pioneering its SARTRE vehicle platooning system, where drivers can relax and enjoy the journey while their trusty steeds follow the car in front and form a convoy of safety. Of course, computers are not completely infallible and errors will doubtless occur, as many a driver who’s been sent in the wrong direction by their sat nav will attest. However, the technology being tested by Google and leading car manufacturers is an interesting development, which, while maybe not replacing drivers completely, may certainly be a move in the right direction towards relaxed motoring. It may not be great news for insurance companies, but many drivers are sure to embrace this innovation and see whether it works for them. First Vehicle Leasing is always keen to hear about latest advances in car technology and works with all the leading manufacturers to deliver the latest models time after time. And, while self-driving motors haven’t driven off UK forecourts just yet, it’s only a matter of time before these will be available as part of a cost-effective car leasing deal. Do You Drive Better Than a Robot? This entry was posted in Cars and tagged car, car leasing, car technology, cars and technology, Cars Safe, First Vehicle Leasing, ford focus, Google, insurance companies, lexus, LS, MoT, motorists, SARTRE, steering wheel, technology, toyota, UK, volvo by Mark.Hughes. Bookmark the permalink.